OSLO, Norway–(BUSINESS WIRE)–Norsk Titanium AS, the world’s leading provider of aerospace-grade, additive manufacturing technology today announced a long-term supply chain services agreement with Precision Holdings, a portfolio company of Texas-based private equity firm Insight Equity Holdings LLC. The deal comes ahead of Norsk Titanium’s scheduled groundbreaking of the world’s first industrial-scale additive manufacturing facility to be located in the United States. Under the terms of the partnership, Precision Holdings will also provide strategic support in the form of customer development services in the United States in accordance with Norsk Titanium’s global expansion plans. Norsk Titanium (www.norsktitanium.com) is the world’s pioneering supplier of aerospace-grade, additive manufactured, structural titanium components. The company is distinguished in the aviation industry by its patented Rapid Plasma Deposition™ (RPD™) process that transforms titanium wire into complex components suitable for structural and safety-critical applications. 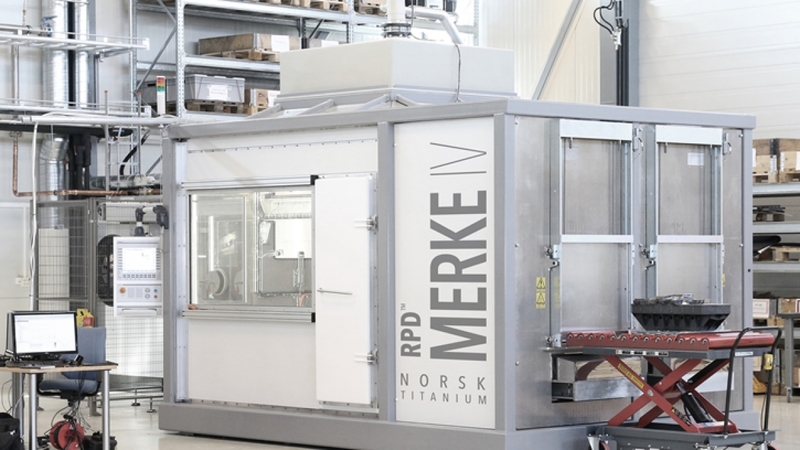 The Norsk Titanium research and development team is committed to displacing the age old and inefficient forging process with a precision wire deposition technology embodying substantial savings for aerospace, defense, and commercial applications.